Distracted driving is already at an all-time high with more than 5,000 people dying each year in vehicle crashes caused by distracted driving, many who were texting and talking on cellphones behind the wheel, and teens especially susceptible to distracted driving. Now, a new study shows that an intoxicated driver whose attention is further distracted by anything from a text message to dashboard controls is an accident waiting to happen. Such distractions are just too much to handle safely, even for people who drive while still within the legal alcohol limits, say Nicholas van Dyke and Mark Fillmore of the University of Kentucky in the US. Their study provides some of the first evidence on the degree to which distractions influence the ability of intoxicated drivers to safely control their vehicles. The findings are published in Springer’s journal Psychopharmacology. Distractions like cell phones are just too much to handle safely, even for people who drive while still within the legal alcohol limits. On average, 28 alcohol-related traffic deaths are reported per day in the US. To reduce such incidences in the future, lawmakers are now considering lowering the current legal limit of 0.08 percent alcohol concentration in the blood even more to 0.05 percent. These laws, however, are based on the assumption that it is safe to drive while below the legal limit. They do not take into account how distractions can further influence an intoxicated driver’s ability to keep a vehicle on the road. Van Dyke and Fillmore therefore tested how safely 50 adult participants could maneuver a 5.9 mile drive through a typical urban area after having a drink. A driving simulator was used. They took note of how well the drivers continuously made small adjustments to the steering wheel to keep the simulator vehicle within a designated lane, to prevent it from crossing into another or from veering onto the edge of the road. During some of these 6-minute tests, the drivers also had to respond to small red circles appearing on the windshield of the simulator. According to the researchers, the simple distraction task was not any more difficult than what drivers encounter on a daily basis while tending to text messages and the numerous and increasingly complex dashboard controls of modern vehicles. When tested separately, alcohol and distractions both impaired the key aspects of driving performance, such as within-line deviations, steering rate and lane exceedance. The magnitude to which alcohol impaired safe driving was increased two-fold when a driver also had to deal with distractions. This was evident even at blood alcohol levels below the current legal limit for driving in the US. 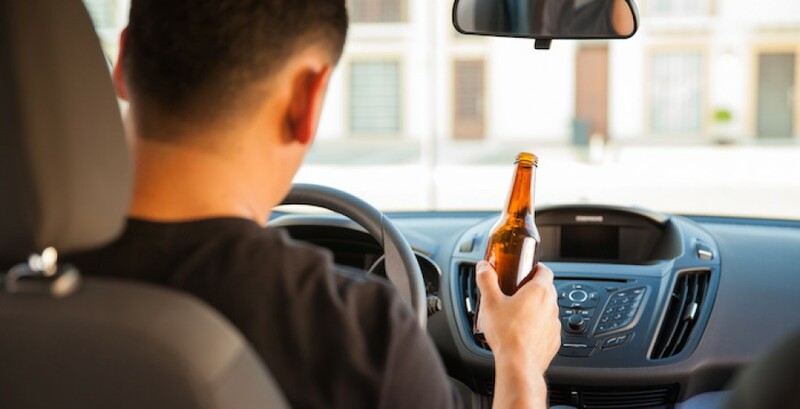 “With continuing advancements in technology and the omnipresence of distractions while driving, it is becoming increasingly important to study the interaction between alcohol and distraction on driving,” van Dyke points out. Reference: Van Dyke, N. & Fillmore, M. (2015). Distraction produces over-additive increases in the degree to which alcohol impairs driving performance, Psychopharmacology.